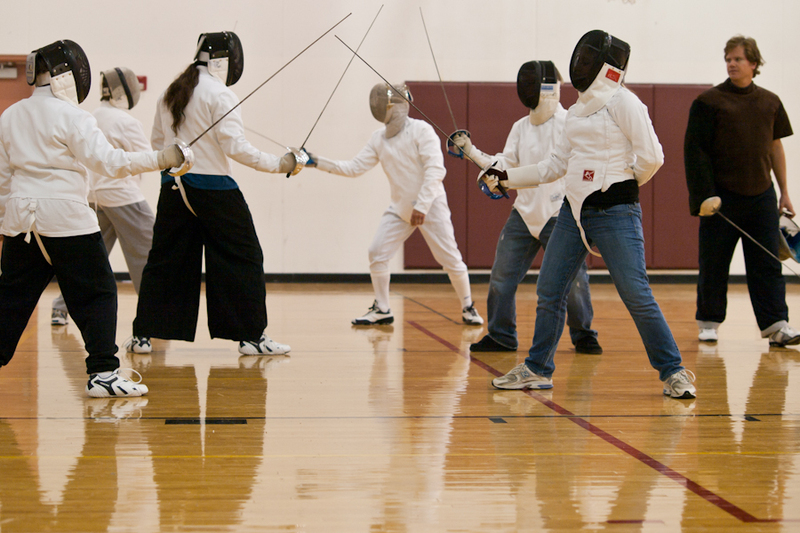 The OFC offers beginner, advanced beginner, and intermediate classes to match the skill level of the individual fencer. Our coaches hold certifications in fencing from various sources and are all professional, background-checked members of the USA Fencing organization, the national governing body of amateur fencing in the United States. We accept students from 10 years old on up. Don’t think you’re too old to start fencing. We’ve had numerous older fencers who genuinely enjoy the sport. Classes are an opportunity to learn fencing actions and techniques in a group environment with those of your skill level. We begin with an introduction to technique in the beginner class and progress you through your journey of gaining confidence in this sport. Our classes provide fitness benefits as well, encouraging fencers to warm-up, stretch and work hard during every class. We provide all the equipment needed to safely practice the sport. All you need to bring to class is a non-marking pair of athletic shoes and comfortable gym clothes.